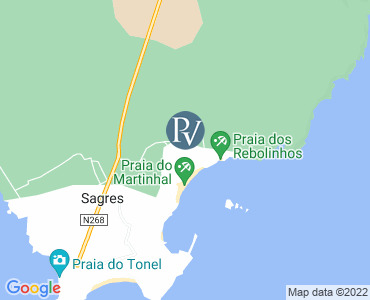 Martinhal Sagres Beach Resort & Hotel is a truly luxurious family resort, located within a natural park near the town of Sagres, in the unspoilt Western Algarve. The beautiful natural surroundings combined with the well designed, elegant accommodation is the perfect choice for families or couples seeking to enjoy luxury accommodation and family friendly facilities with a beach holiday in the Algarve. Facilities include 5 swimming pools, a Kids Club & Creche and babysitting facilities (extra charges apply), a Sports Club and Tennis Academy, Football Academy, Gym, steam room, sauna, mini-market, a fantastic choice of restaurants and snack bars, and a luxury spa. Many activities such as golf, horse riding, cycling and water sports (including surfing and windsurfing) are also on offer. For further information regarding Restaurants, Kids Clubs and resort facilities, please view our Extra Details tab. We are excited to offer clients the option of staying in this beautiful location, with a variety of accommodation options, from the main boutique Hotel, to private houses in Martinhal Village, luxury Villas and Townhouses (Mimosas). Guests will be very well looked after, with all your needs taken care of so you and your family can relax, enjoy and indulge yourselves. Martinhal Beach Resort & Hotel is a truly luxurious family resort, located within a natural park near the town of Sagres, in the unspoilt Western Algarve. Guests will be spoilt for choice when it comes to dining, with 3 fantastic restaurants to choose from, plus additional snack bars for lighter options during the day. Children are very welcome at each restaurant and are well catered for, with children's menus and play areas available at each. The Raposinhos Kids Club and Creche is open to children between the ages of six months and eight years old. These Clubs are centrally located at the Village Square and are run by a dedicated, qualified and experienced English-speaking team, who will ensure your child has a holiday to remember. Guests can indulge themselves at the Finisterra Spa which is positioned in its own secluded grounds and offers a wonderful variety of treatments. These include various types of massage, facials, Men's treatments, family treatments and beauty treatments. Each is based on the use of products from the exclusive Terrake spa brand and Voya, which is 100% organic. Guests will be spoilt for choice when it comes to dining, with 3 fantastic restaurants to choose from, plus additional snack bars for lighter options during the day. Based on a philosophy of using genuine and authentic Portuguese produce of the highest quality and following time-honoured methods of preparation, the resort is one of the best places in the Algarve to appreciate delicious international and national cuisine. Children are very welcome at each restaurant and are well catered for, with children's menus and play areas available at each. O Terraco: A smart restaurant serving unpretentious but beautifully prepared Portuguese cuisine, making the most of fresh local produce. Located in the main hotel, with stunning views over the ocean and Martinhal beach, the restaurant is the perfect place to start and end your day. Full buffet breakfast is served here for hotel guests. Children will love the kids' corner with small tables, colouring pencils and games supervised by a member of the Kids Club, while parents can relax and enjoy their breakfast. As Dunas: This stylish beachside restaurant has a slightly more relaxed ambience and specialises in fresh fish and seafood. A shaded outdoor terrace allows for meals al fresco - candlelight dining at its finest with the sounds of the sea. As Dunas is ideal for families with a fenced-in sandy play area and trampoline for little ones and has an attractive childrens menu. The Village Square is the heart and soul of Martinhal Beach Resort & Hotel. Characterised by a vibrant sense of community, the Square is the resorts entertainment hub. A central feature is the large, inviting indoor and outdoor swimming pool. Toddlers have a small pool of their own. Nearby is a children's playground. For keep-fit enthusiasts, a well-equipped gymnasium is housed above the Square. For a more relaxing experience, the sauna and steam rooms are located in the same building. During the summer months, there will be complimentary evening activities. The Raposinhos Kids Club and Creche is open to children between the ages of six months and eight years old. The Creche caters for children from 6 to 23 months and the Kids Club caters for children from 2 to 4 years. During the school holidays, the 5 to 8 year olds are catered for in the Fox Club, which has a program with indoor and outdoor supervised activities that will spark the interest of this age group. These Clubs are centrally located at the Village Square and are run by a dedicated, qualified and experienced English-speaking team, who will ensure your child has a holiday to remember. There are separate babysitting services also available. Older children (9 to 16years old) can go to the Explorers and Adventure club to learn to windsurf, go dolphin watching or learn a new skill at the junior lifeguard course. The 'Blue Room' is available for older children, a place where they can enjoy video games, table football and use of the internet. Located on the Village Square, the Blue Room is free to enter and is an unsupervised leisure facility recommended for children aged 8 and older. Martinhal also features Football and Tennis academies where your children can polish their skills or learn new techniques from our fully trained and experienced instructors. All Clubs are very popular and places are limited, so it is advisable to book your activities in advance to avoid disappointment. Please ask your Premier Villas advisor if you would like further details. Baby-sitting facilities exist and there is a small children's playground in a sheltered, walled garden. The Creche and Raposinhos Kids Club will be open all year while Fox Club, Explorers and Adventure Clubs will open only during school holiday periods. Local charges apply for the clubs and activities, please contact us for further details. Guests can indulge themselves at the Finisterra Spa which is positioned in its own secluded grounds and offers a wonderful variety of treatments. These include various types of massage, facials and beauty treatments. Each is based on the use of products from the exclusive Terrake spa brand and Voya, which is 100% organic. All prices are per week for the accommodation only. Check-in is from 3:00pm on your arrival day. Check-out is by 10:00am on your departure day. Please note that availability shown is subject to confirmation - please call our reservations team.